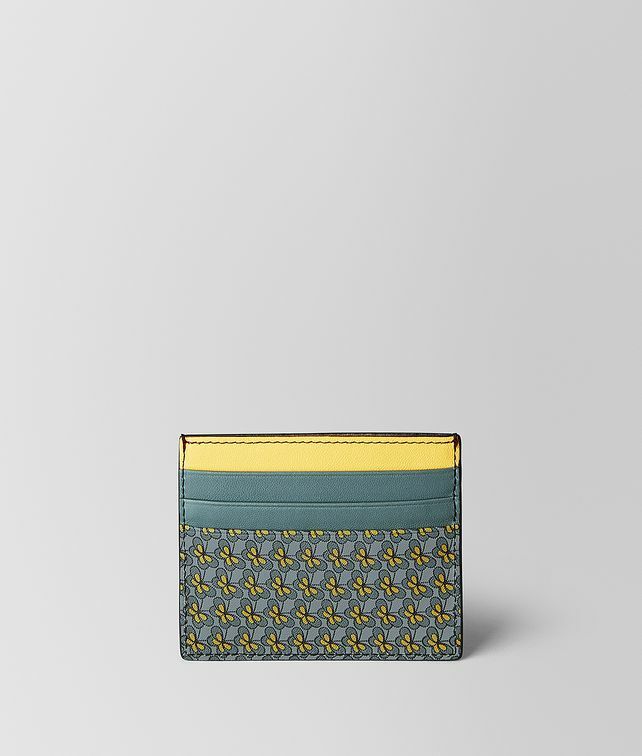 This slim card case is crafted from soft nappa leather with a microprint featuring the butterfly, a house code of Bottega Veneta. The design has a solid back, and a top card slot made in a complementary hue, adding to the graphic look. It is fitted with three card slots on each side and a central flat pocket for storing bills and receipts.